When we feel overwhelmed by numerous concrete block of flats, visiting almost a twenty-year-old Botanical Garden is a good idea. You can see there all those things that are irretrievably dying in the urban jungle covered by a thick layer of grey. Some trees growing in the garden were planted by the founder of this unique facility. Among them, a branching ginkgo, whose majestic leaves have become the symbol of the garden, can be found. 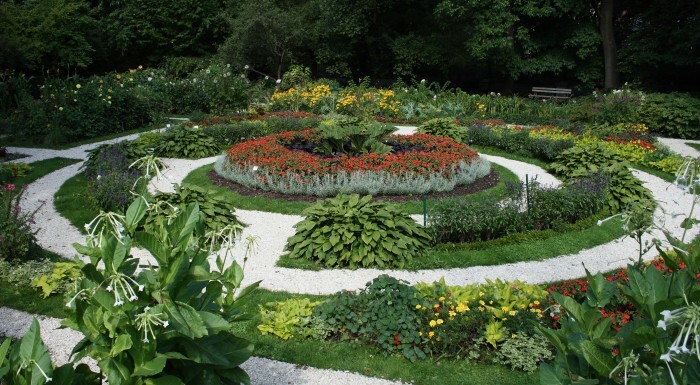 The botanical garden belongs to the University of Warsaw. It serves as a resting place and also as an academic area. Numerous animal species that are in danger of becoming extinct in Poland and abroad have become a true treasure of this facility. Many of them were saved from extinction by being put in the garden. Researches that took place over here saved other plants by keeping them in their natural environment. The garden gathers over five thousand tree, flower and bush species which cannot be seen in such composition anywhere else. A walk in the garden is a really pleasant experience. The overwhelming everyday life is left behind its gates, inside you can find a green paradise dominated by singing birds and silently rustling leaves. Buzzing insects that pollinate flowers make this place even more charming. The botanical garden is a perfect place for family walks or romantic time.